Taiwan’s China Airlines recently took delivery of its first new Boeing 777-300ER. 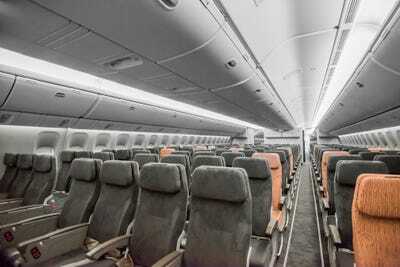 While the airline is keen on the new Boeing’s lightweight construction and increased fuel economy, what’s really going to thrill passengers is the upgraded interior. 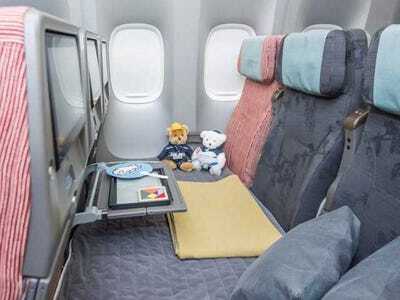 For its new 777s, the Taipei-based airline has given its premium business class cabin and its premium economy seating a facelift. And the coach setup is now truly unique. “The airline’s new 777-300ER represents the beginning of a new era for China Airlines and the people of Taiwan,” president and CEO of Boeing Commercial Aeroplanes Ray Conner said in a statement. 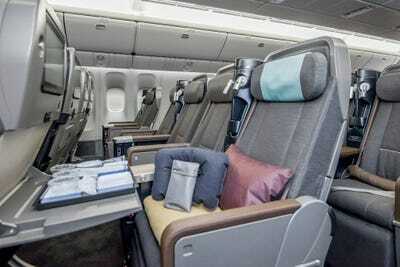 All in all, China Airlines’ new 777s will have seating for 358 passengers, with 40 in premium business, 62 in premium economy, and 256 in economy. 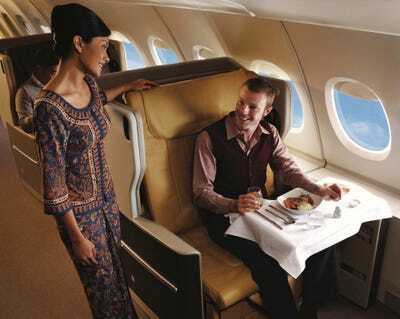 For much of the past decade, the undisputed king of airline service has been Singapore Airlines. This is for good reason. 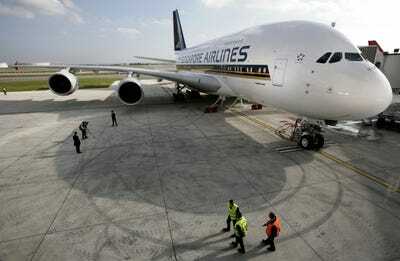 Singapore's first class suites, business class seats, and overall service have received unanimous praise. 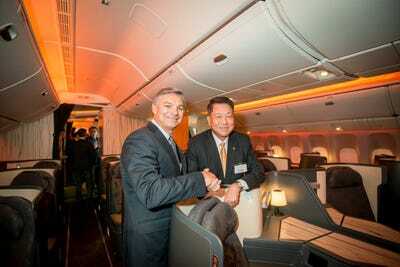 China Airlines CEO Huang-Hsiang Sun (right) -- seen here with Boeing's Ray Conner -- is positioning China Airlines to compete with the best Asia has to offer. Singapore's most famous feature, its super-luxurious suites, can cost as much as $20,000 per one-way flight! However, the vast majority of Singapore's passengers will 'only' have the privilege of experiencing the airlines business and economy classes. 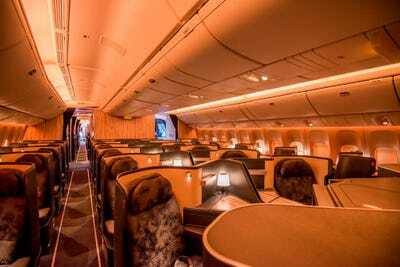 In that light, China Airlines' new premium business class cabin might just be able to give Singapore a run for its money. The new premium business class features 78-inch long lie-flat seats, wood-grain accents, and a state-of-the-art Panasonic in-flight entertainment systems. 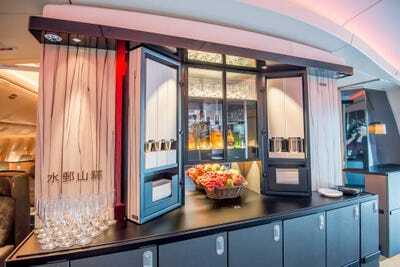 Premium business passengers are also treated to the high-ceiling Sky Lounge. It's stocked with a selection of teas, a full lineup of alcoholic beverages, and snacks. It's a true blend of East and West. 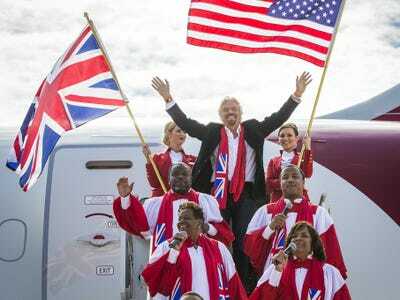 'Premium economy' is a new trend that's taking air travel by storm. 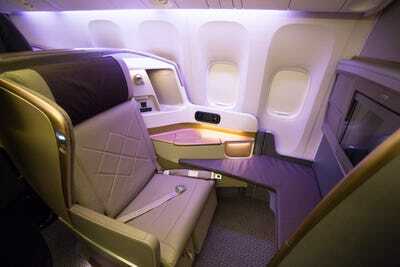 Slotted between business and economy, premium economy on China Airlines has also been upgraded. Premium economy passengers on the new 777 will get 39 inches of legroom and a 12-inch screen for the entertainment system. China Airlines will be the second airline in the world -- after Air New Zealand -- to offer what it calls the 'Family Couch.' The Family Couch allows a row of 3 coach seats to form a bed/couch for one passenger to snooze on -- or for an entire family to snuggle in. 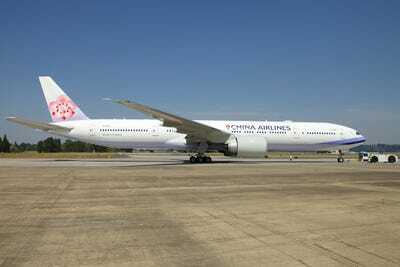 China Airlines will complete delivery of its 10 new Boeing 777-300ER by 2016. The first aircraft will start flying between Taiwan and San Francisco in early 2015. 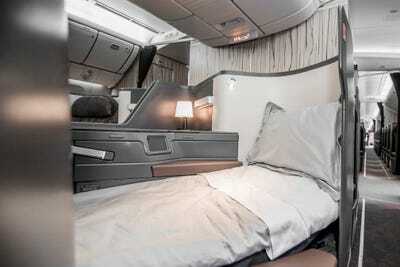 For China Airlines, the premium cabin certainly looks properly luxurious. However, time will tell if China Airlines' crew can match Singapore's staff when it comes to service.